INTERESTED IN BECOMING AN ARTIS TRAINER? 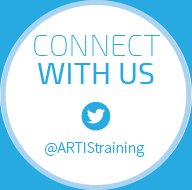 We are always on the lookout for new ARTIS Trainers to deliver specialist training to industry. The people we use to train others are agronomists and scientists who are well recognised and highly skilled in their areas of expertise. If you would like to be accredited as an ARTIS trainer, please get in touch. Call us today on 01223 342444 to find out how.